A court has heard that Real IRA founder Michael McKevitt, one of three men found liable for the Omagh bombing, is terminally ill with cancer. McKevitt, who was released from prison in 2016 after serving a 20-year sentence for directing terrorism, was adjudicated bankrupt in the High Court yesterday. Ms Justice Teresa Pilkington said she was satisfied to make bankruptcy orders in respect of McKevitt, Colm Michael Murphy and Liam Campbell. In 2009 a judge in Belfast's High Court ruled that the three men, and another man, Seamus Daly, were all liable for the Omagh bombing and ordered them to pay £1.6m (€1.9m) in damages to 12 relatives of the victims. That decision was upheld on appeal to the European Court of Human Rights. The 1998 attack was the single biggest atrocity of the Troubles, claiming 29 lives, including a woman pregnant with twins. All of the defendants denied having any involvement in the bombing. Arising out of the failure to pay the damages, the relatives, represented by John O'Donnell SC, brought proceedings before the High Court in Dublin seeking to have McKevitt, Murphy and Campbell adjudicated bankrupt. The court heard that demands had been made on each of the three men to each pay some €439,000, which they had failed to do. When the matter returned before the High Court yesterday, Campbell, of Upper Faughart, and Murphy, of Lower Faughart, both in Dundalk, Co Louth, and McKevitt, from Blackrock, in Co Louth, did not appear in court. A barrister told the court that he appeared for McKevitt, who he said it was difficult to get instructions from because his client has terminal cancer. The lawyer also said he acted for Murphy, but did not have firm instructions in regards to the bankruptcy application. Mr O'Donnell said there had been correspondence last month from Campbell, where he was seeking to obtain legal aid in regards to the bankruptcy application. Counsel said no adjournment should be granted in Campbell's case. He added that McKevitt had written to his client in October 2015. In that correspondence McKevitt, who repeated his denial of having anything to do with the bombing, said he had no assets, had terminal cancer and the only source of income is the State pension. Counsel said that again there was no good reason advanced as to why McKevitt or any of the other respondents should not be adjudicated as bankrupts. In her ruling, Ms Justice Pilkington said she was satisfied to adjudicate all three as bankrupts. 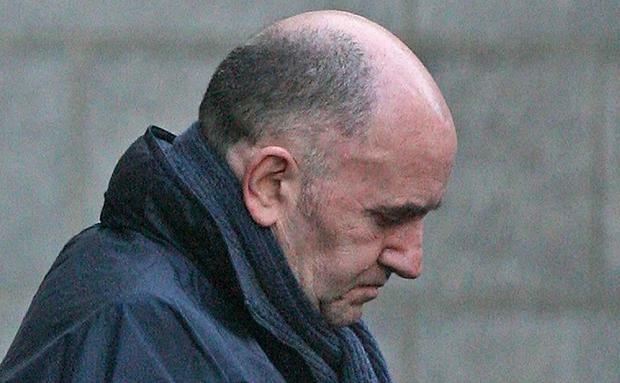 In 2003, McKevitt was convicted of two terrorist offences, membership of an illegal organisation, the Real IRA, and directing terrorism between August 1999 and October 2000. Murphy was cleared of all criminal charges in connection with the bombing. He had been convicted in connection with the bombing by the Special Criminal Court in 2002, which was later overturned on appeal.